Have you ever wondered how many artifacts exist within the world’s largest museum? Find out today with National Charter Bus. Our transportation service offers bus rentals to this mammoth institution that are affordable and customized to meet your needs. From graduate students on an art history tour to corporate clients on an art appreciation trip to large families on a culturally immersive vacation-- National Charter Bus has something for everyone. Our customer service network operates 24/7 and can guide you on the best bus rentals in the Capitol region. Call us today at 202-250-3441 to book your personalized transportation to one of our nation’s wonders! 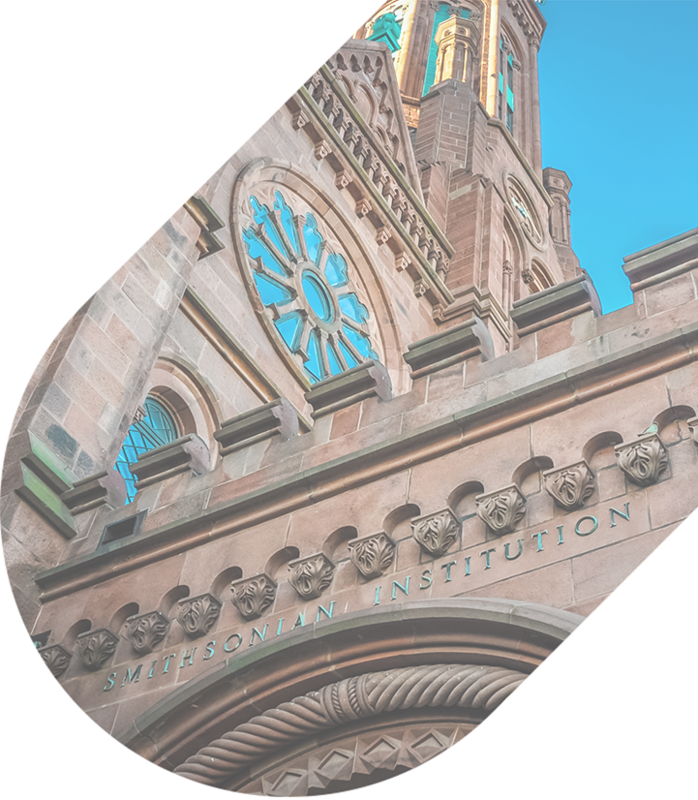 The Smithsonian Institution was established in 1846 for the “increase and diffusion of knowledge.” It is dubbed the “Nation’s Attic”-- and for good reason. It contains around 154 million artifacts spread out across 19 museums, a collection of 9 research centers, and 1 zoo. Seventeen museums and the zoo are located across Washington, D.C., with two based in New York. Being the world’s largest museum and research complex, it is undoubtedly frequented by a large volume of visitors annually-- 30 million to be exact. With endless waiting lines, an overwhelming amount of information to soak in, as well as the stress of not knowing which museum to see first-- exploring the Smithsonian is no easy feat. Save yourself the time and money by choosing group travel with National Charter Bus. Our transportation service can pair you with a bus for every occasion, from the sleek to the compact to everything in between. If you’re a first-timer with group travel, you may be reluctant to book your trip with a charter bus rental service. You may have concerns such as how to plan your itinerary, whether or not there’s seating available for large group sizes, and the extent of the amenities present in each bus model. The team at National Charter Bus reassures you and your group that we will take care of all reservation and transportation logistics, since your comfort and safety is our primary concern. Our extensive transportation network enables us to provide your group with a range of bus options. We cater to any trip type and any group size, any time of day. When it comes to touring the Smithsonian Institution, National Charter Bus will help you plan “Hop-On Hop-Off” bus trips to each of the museum sites. We can pick up and drop off your party to any museum of your choice, regardless of the trip distance or location. All you need to do is contact our reservation specialists at 202-250-3441 and plan your itinerary for a culturally uplifting experience! The Smithsonian Group Sales and Reservations department offers groups of 10 or more discounts to restaurants and attractions in the region. Moreover, group tours can also be arranged if booked in advance. When it comes to educational tours, professors are required to accompany their students for the entirety of the visit. If you’re a small group of graduate students studying Fine Arts at George Washington University or the American University College of Arts and Sciences, National Charter Bus can provide you with an 18-passenger minibus for your museum hop. Unlike the traditional school bus layout, each bus in our network is an upgraded, tech-savvy model. With free WiFi on board as well as an AV entertainment system, long bus trips will no longer be a source of discomfort. Art students will be able to read up on their visual study paintings beforehand and will be prepared for their upcoming museum venture. In addition, the overhead cabin space can store painting supplies, easels and camera equipment. Every feature on the bus will be customized to meet the needs of each student. When it comes to families, National Charter Bus has every member covered. For mid-sized families booking transportation to see DC’s most treasured artifacts, the 25-passenger minibus is the perfect choice. Important features present on the bus such as bathrooms, panoramic windows, and climate-controlled interiors are a must-have for groups traveling with children. Every individual, regardless of age will travel in comfort and ease. The reclining seats will be helpful for elders who need to stretch during long journeys, or toddlers who need to take a mini cat-nap before exploring their favorite museums. Corporate trips are another one of our specialties. For large parties planning on attending an art appreciation seminar, the 56-passenger charter bus is the preferred option. The bus is up to par for all VIP clients flying in for the weekend-- with luxury amenities such as cushioned seats and auxiliary plug-ins, it is sure to impress. Everyone can charge their electronic devices onboard and utilize the free WiFi for important emails and presentations, all while comfortably seated on their premium bus model. Moreover, your driver can facilitate multiple stops for your group. They can pick and drop your clients from Dulles International Airport to their hotel, and can pick them up in the morning, ready to drop them off at any museum site of their choice. Stay together and arrive on time to the Smithsonian by booking transportation through National Charter Bus! View further tips and guidelines on touring the museums over here. This stop is a great starting point to the Smithsonian Institution. It hosts a variety of information from all 19 sites. This museum is a place where all Americans can learn about the history of the African American experience and how it shaped our nation’s history. This destination is the only national museum in America that is dedicated to the study of the arts from the continent of Africa. Learn about the history of aviation and space travel at this museum. This center near Dulles Airport accompanies the location above. Description: This museum features an incredible record of the American people over a period of three centuries. This museum focuses on the scientific, cultural and social development of the United States, dating back to the Colonial period. This museum has one of the most expansive collections of Native objects in the Western Hemisphere, from the Arctic Circle to Tierra del Fuego. Based in New York, this beautiful museum also celebrates the diverse history of Native cultures across the United States. Located in the Anacostia neighborhood, this museum studies the impact of historical and social issues on urban communities. A museum of Asian Art, it features permanent and temporary exhibitions from ancient times until today. 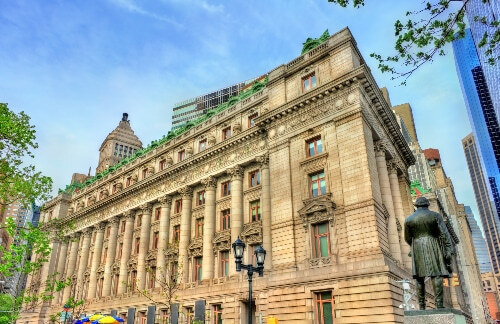 Another museum of Asian Art, it features premier collections from Neolithic times until the early 20th century. This museum is open mainly for special events. This museum is dedicated to historic and contemporary design. It is located in the famous Andrew Carnegie mansion and is accompanied by a lush garden. This museum features international modern and contemporary art in a unique cylindrical building. The world’s most popular museum focuses on our natural surroundings and our contribution to it. 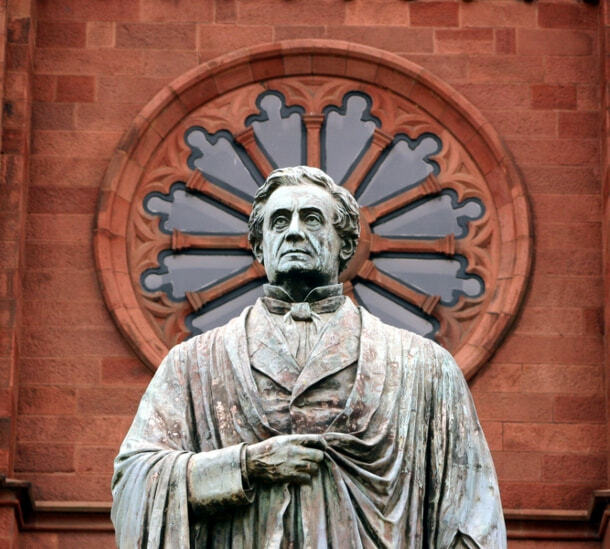 This gallery features every leading figure that has shaped our nation. This museum displays the largest and most comprehensive collection of stamps and philatelic material in the world. This museum is dedicated to the exhibition of contemporary American art. 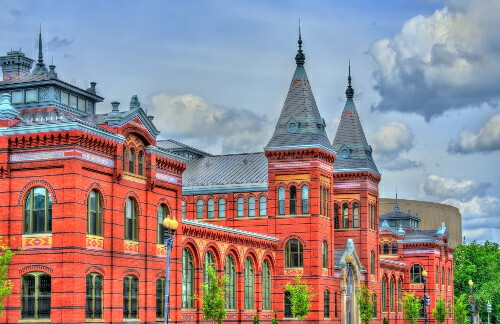 It is a National historic landmark and was the first building in the United States that was built to be an art museum. In general, admission is free to all DC-based museums, with exceptions to the African American Museum and the New York locations. Let National Charter Bus be your primary transportation provider to all 19 destinations. Browse through our prices, quotes and safety information, and book your trip today! Are you ready to become a bona fide expert on all things art? 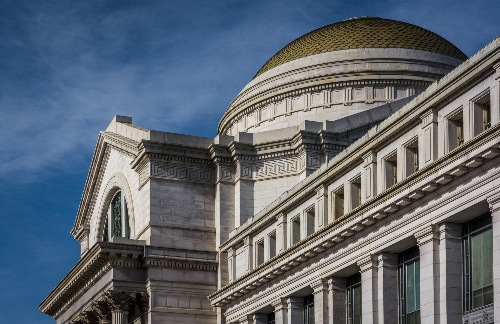 Since the Smithsonian is such a vast institution, your group will need help planning their itinerary accurately, so that there is ample time to visit each museum. Our reservation specialists will assist you in customizing your travel plans. From navigating travel logistics to finding the perfect bus model, National Charter Bus will help you every step of the way. Apart from DC, our transportation network extends to other states, such as New York, Boston, and Philadelphia. Call us at 202-250-3441 for a free, no-obligation quote!